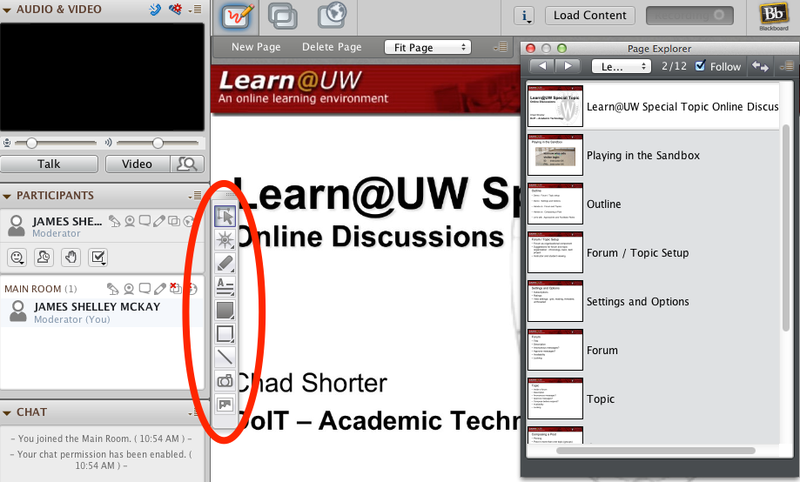 Use cases and descriptions for using Blackboard Collaborate aimed at a large group, lecture style event. Examples: Information Session, Undergraduate Lecture, Software Demonstration, Guest Speaker/Lecture, Student Presentations. 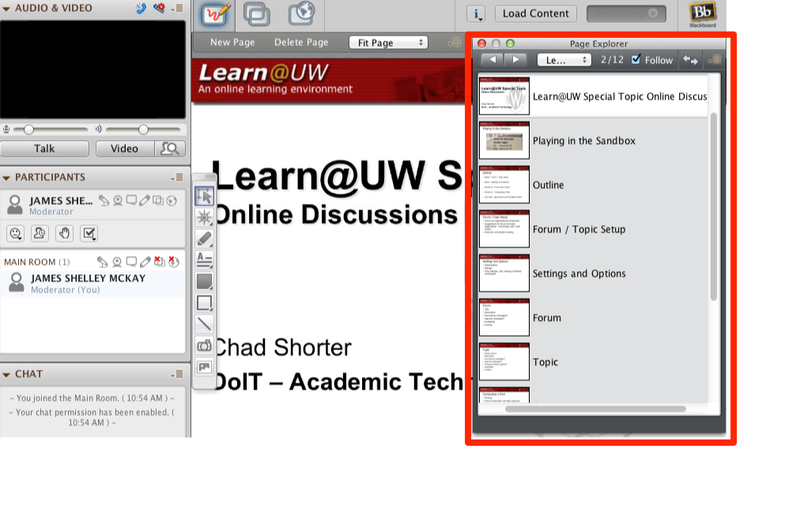 Tools Needed: Video, Audio, Whiteboard, Application Sharing, Web Tour, Chat, File Transfer. 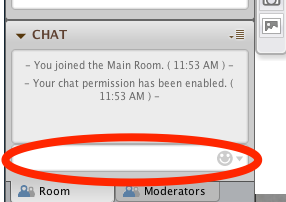 Student or non-moderator Permissions needed: Whiteboard, Chat. 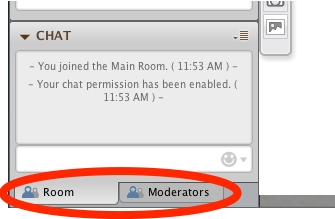 Recommended Organization: For large groups it is best to have at least two moderators at all times. 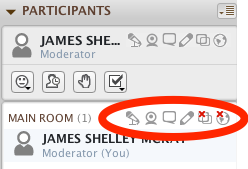 One moderator to host and coordinate the content of the session (whether that be a single lecture, a number of presentations, etc.) 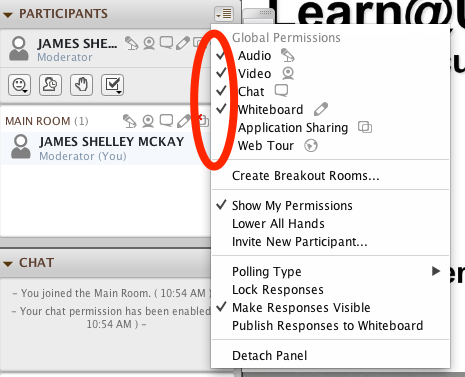 and another one to help participants with any technical issues, field questions via chat and/or queue questions for the presenter or chairperson.